This is on ongoing project to come up with a tool rack which is mobile so that I can move it around my work area to wherever it is needed. At this point I'm thinking about a few "modifications". 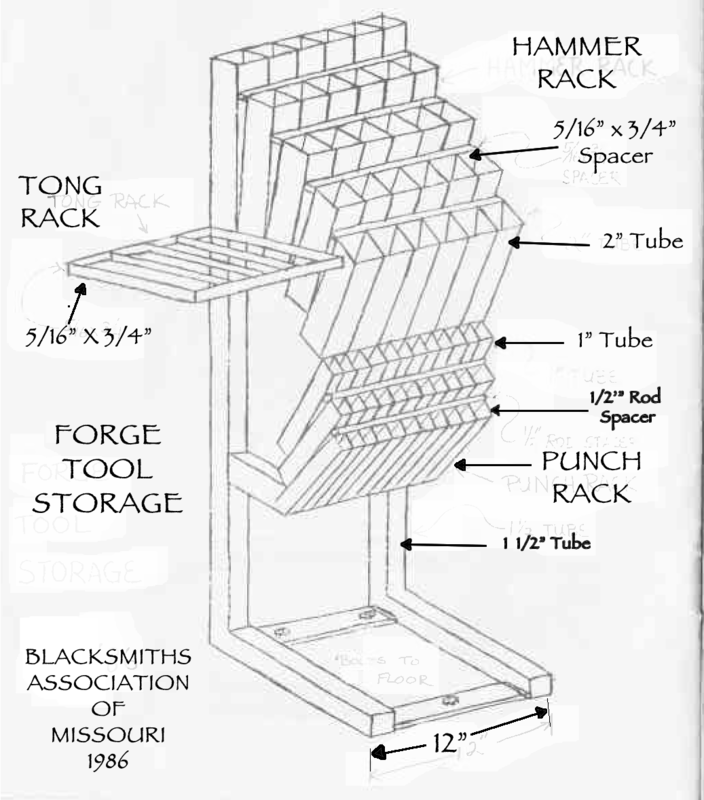 The tong rack frame will be some T-channel because I have a bunch in the garage. I'll probably use rod because I have it too! Well, my good intentions to make my own fabulous tool rack from the plans above have taken a detour. While I was cruising the Internet I came across this. 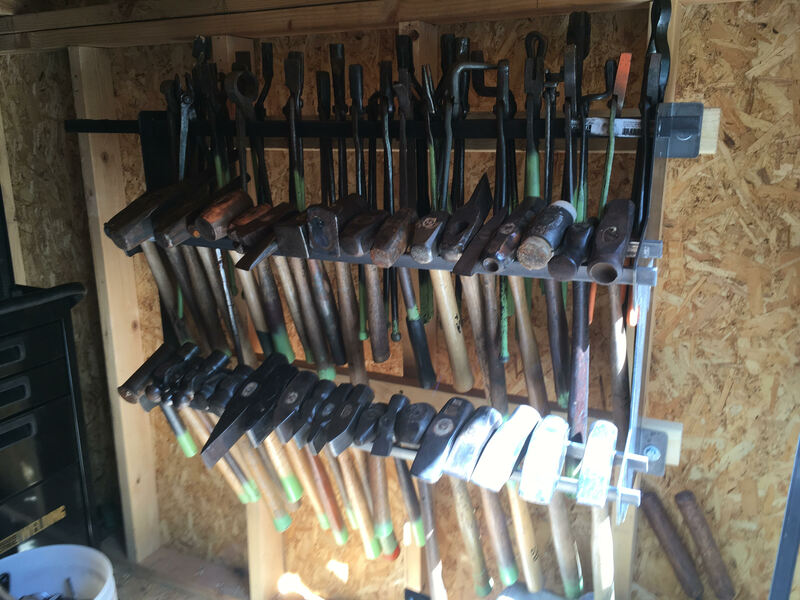 It is an expandable tool rack from Ken's Custom Iron. I bought just the two support pieces and picked up the cross bars from my friendly Home Depot. I made it 3 feet wide. I ended up getting one pair for the shed and a second smaller version to use on any project near the anvil/forge area (on wheels).